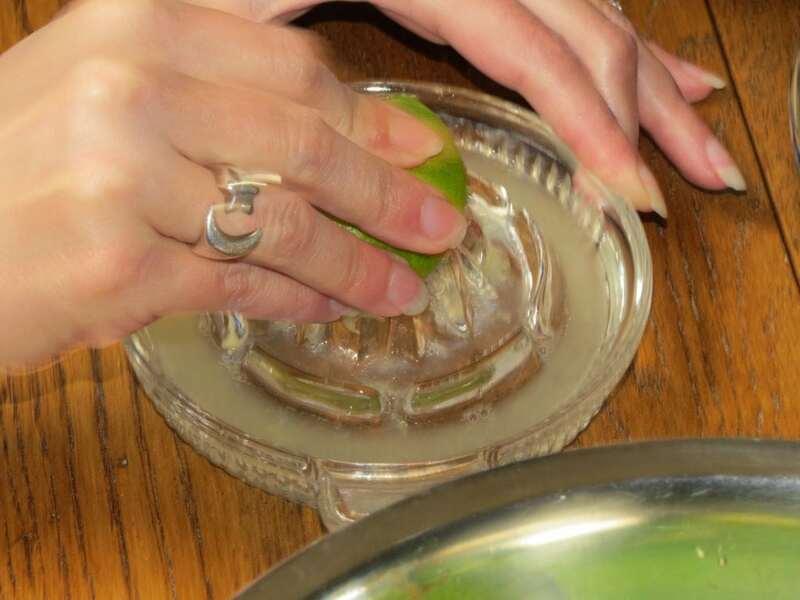 Lime was one of our first troublesome ingredients. 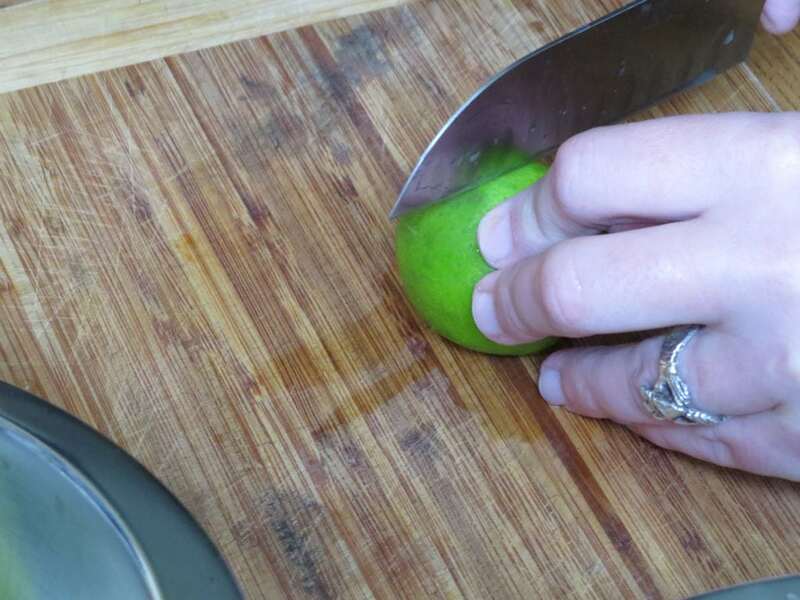 Due to a lovely lady selling lemon/limeades and iced teas at our local farmer’s market, I had discovered that Lime and Thyme went together wonderfully. 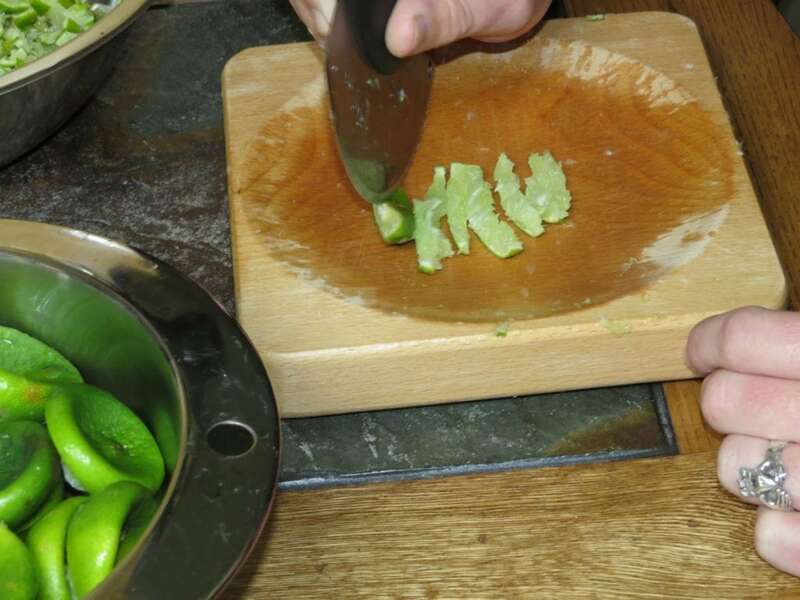 When you added in the possibility of the wordplay of ‘Thymey Limey’ – we really wanted to create a couple of teas. 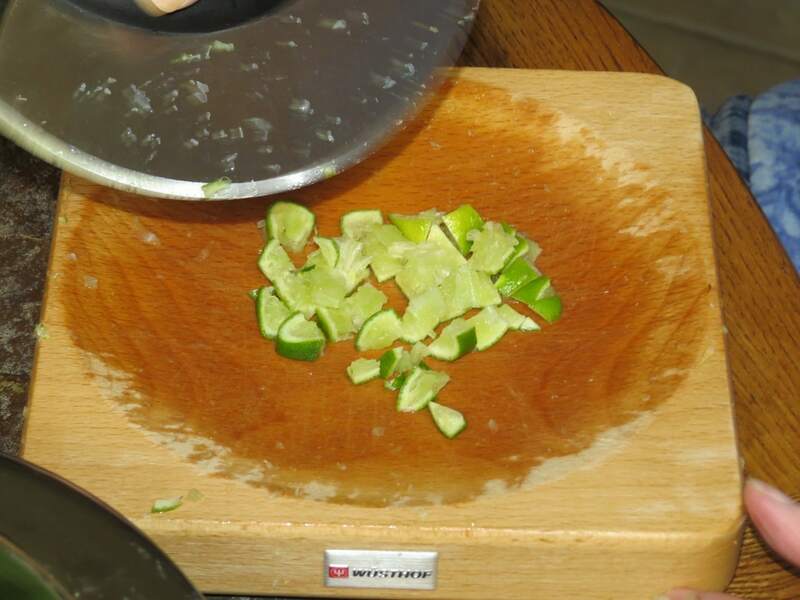 We could find orange peel and lemon peel in appropriately sized bits, but not Lime. This left us choosing between doing the work ourselves and letting a wonderful taste concept fall to the wayside. We, of course, chose to do the work ourselves. 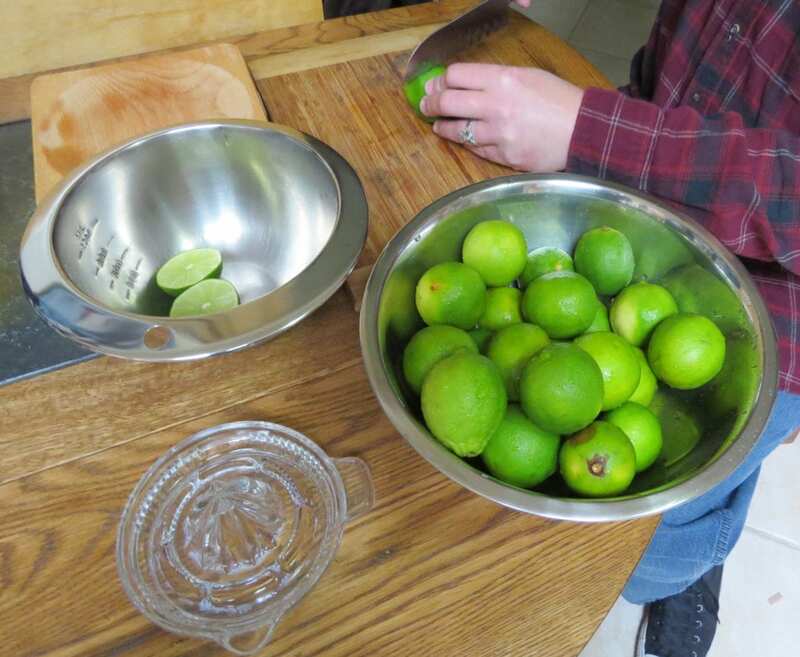 Thankfully, most of the time one of our grocery stores will have organic limes, and keeping our stock of lime organic is something we can actually depend on. So, the process begins with calling around to figure out which location has them, and then Mister Tea heads out and picks up 4 or 5 pounds. These do not end up stretching near as far as you might expect. 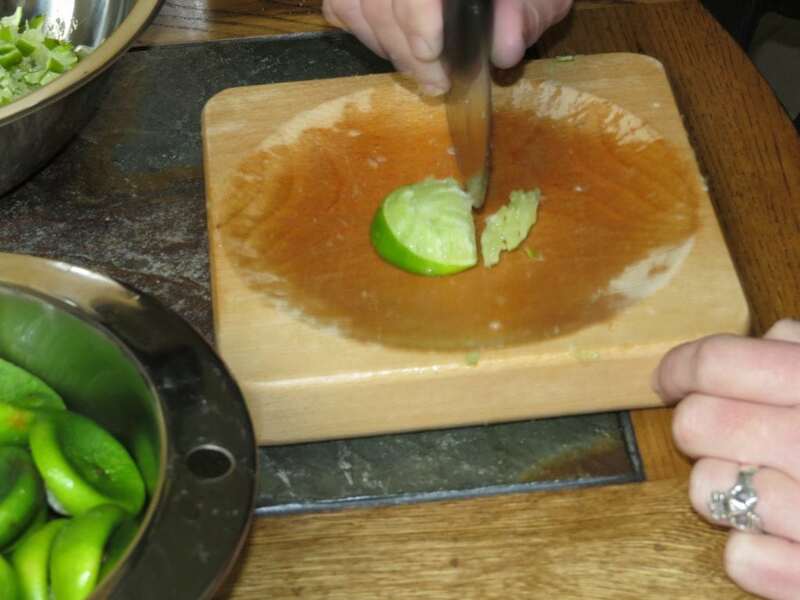 We start with the whole limes, and then we halve them. Eventually we get past this initial stage, and move on to the next. Juicing them. Less painful on the wrists, though hands still tire eventually. 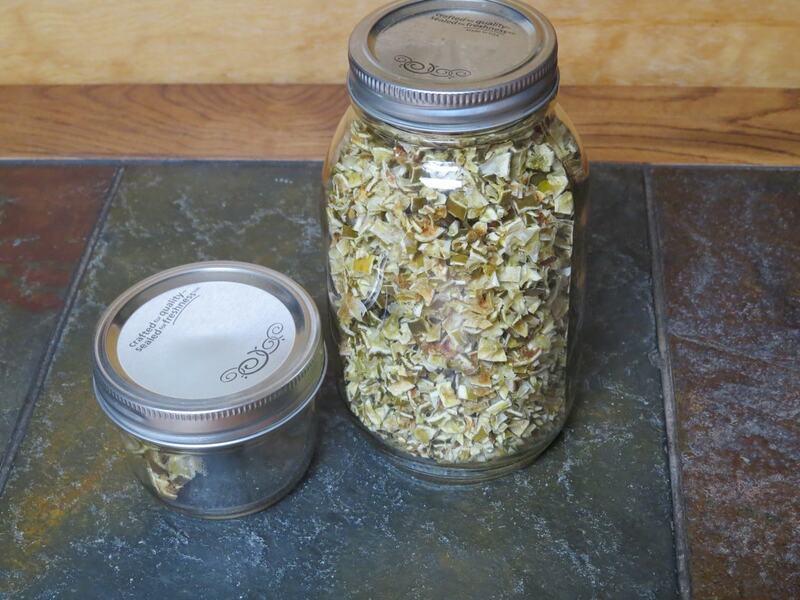 Mister Tea and I tend to do the juicing in shifts, in order to get through the whole poundage with hands still moderately functional, since the work is far from done. Next we have to dice the limes. However, more efficient does not mean fast. Given the size we need to aim for, it takes quite a lot of time. There are many of these trays. 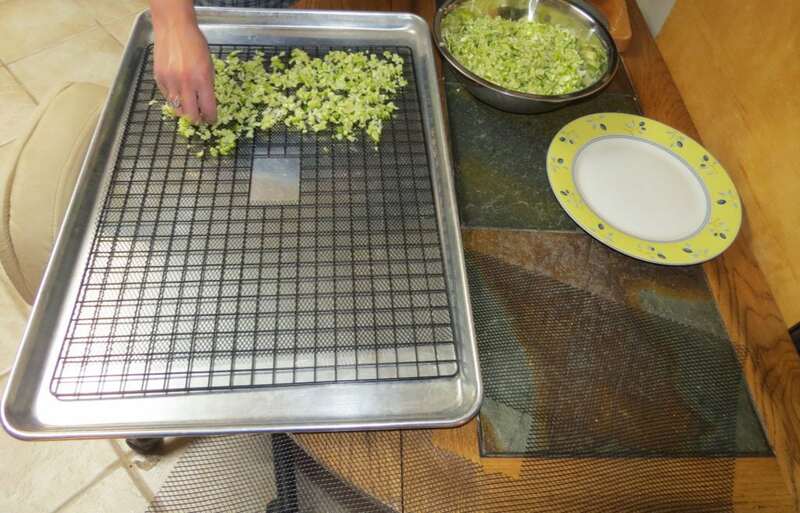 Once they are all loaded, we wander off to do other things for the hours and hours the dehydrator must run. To further complicate things, we don’t draw any other power from the kitchen during this time, other than the constantly running things like the refrigerator. Our house is old, with wiring from the 40’s, and the dehydrator is an industrial model. 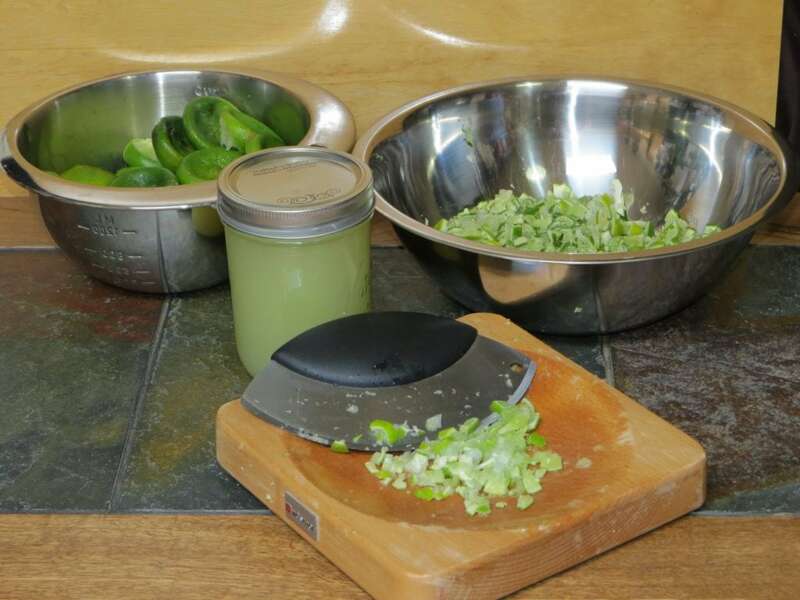 On days where we must dry ingredients, we tend to eat a lot of cold food. 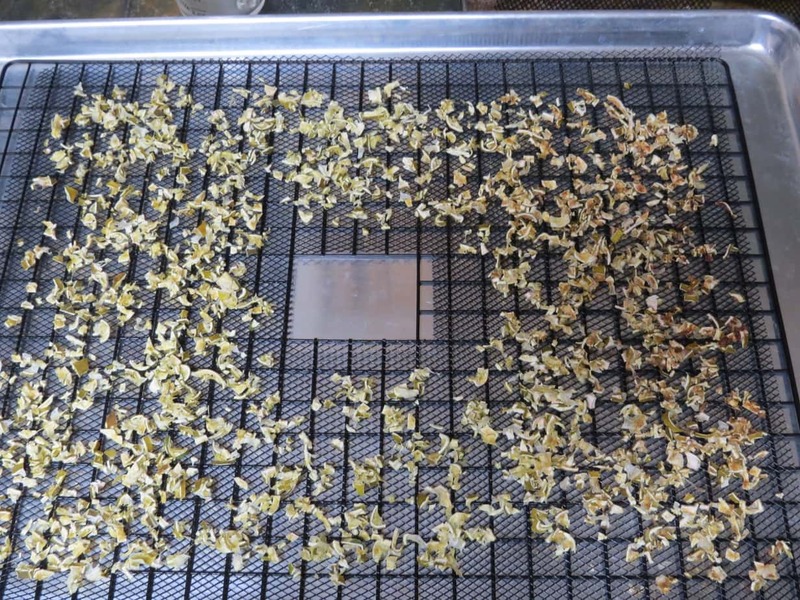 It will make 5 or 6 batches of either of our Wibbley Wobbley teas – but it takes at least a day, and sometimes the entire weekend, to accomplish this. 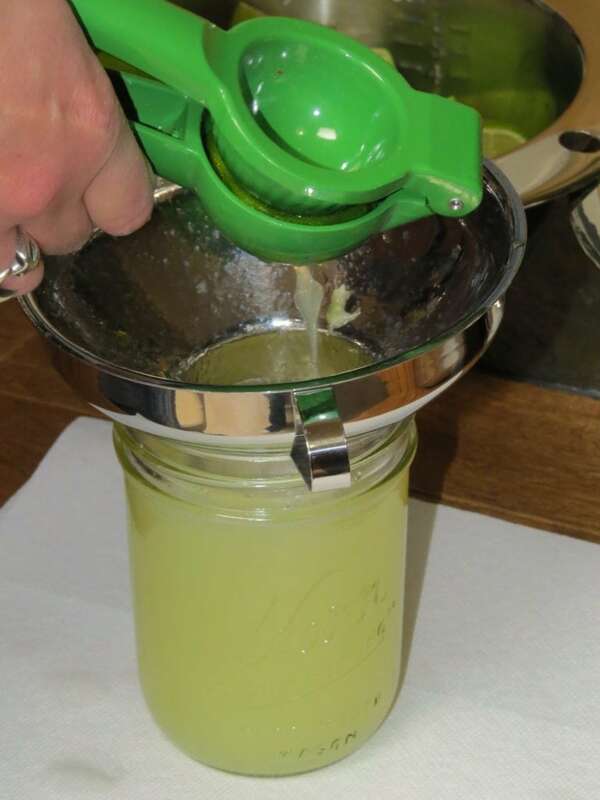 This entry was posted in Ramblings and tagged Ingredient Introductions, Lime, Our Process, Processing by DesertSage. Bookmark the permalink.